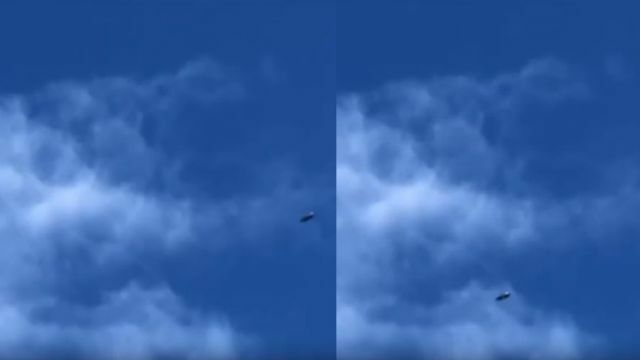 A flying saucer has been filmed over Werribee, Australia by Joanne Rhodes on November 28, 2018. Joanne Rhode states: The small dot near the top of the screen was being filmed when this object bottom right showed up. To see the fast moving UFO the footage has been set at a slower speed. Not a ufo.. nasa, seti, astronomers and most controlled ufologists have told us so. Millions know otherwise. They have read The Pleiadian Mission by US psychologist R Winters who spent many moths with Swiss Billie Meier of theyfly.com. 70+ years of over 800 contacts with et.